In the complexity of healthcare, having financial health is critical. Legacy systems can often prohibit businesses from processing more efficiently, let alone even considering gaining revenue streams due to capital costs of new technology. However, one solution, PayPilot, is gaining momentum in the healthcare market by enabling alternative payment methods, especially virtual cards, a payment method that provides a new revenue stream for the healthcare industry. Virtual cards use existing credit card systems already in place. And, with PayPilot, the technology integration is simple! WEXHealth is a ready-to-use module of the PayPilot Disbursement Hub Solution. And, PayPilot can be universally mapped to any core system originating payments. Step 1: Activate the use of virtual card payments (VC). Also known as Single-Use Accounts (SUA), VCs are unique, one-time-use credit card numbers that are claim specific with customized parameters. This makes the VCs highly secure from fraud; adding efficiency in time, cost saving over paper checks; and providing remittance and reconciliation data not previously tied to payments. SUAs work on the same credit card systems your healthcare suppliers and providers currently accept. The difference is that virtual card payment companies such as WEXHealth provide a revenue stream for each payment processed in the form of a rebate. When processing thousands of payments, the revenue stream is an everyday process that can rapidly add up. Activating Single-Use Accounts is extremely simple when enabled by PayPilot. 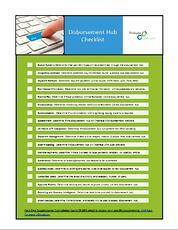 Only minimal effort required of your IT resources, providing a huge relief for your administrative staff. Whether called a Single Use Account or Virtual Card, SUAs provide electronic remittance data (not available with the use of paper checks) that can be extremely helpful to other management teams. How do virtual card payments work? 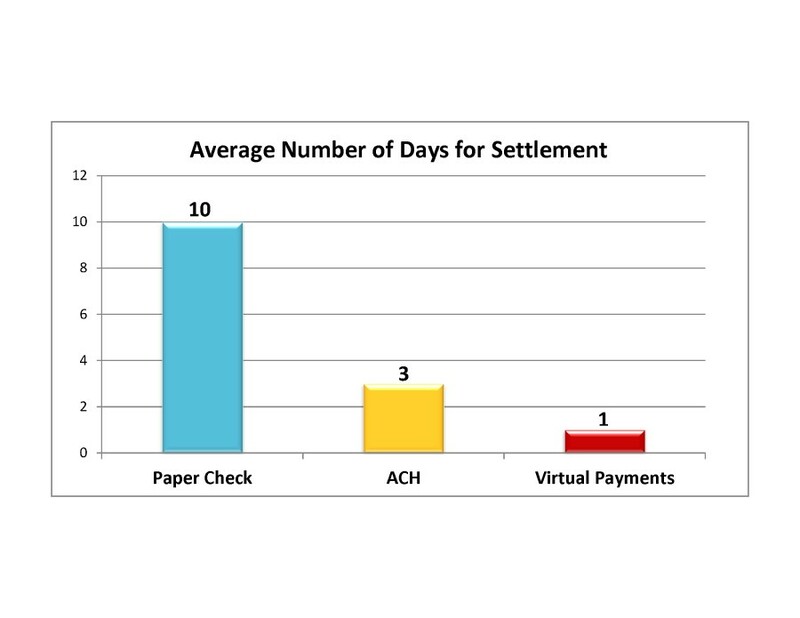 Virtual card or SUAs payments reconcile in 1 day verses the lengthy, expensive, fraud-ridden paper check process that can take up to 10 days. Using SUAs shortens the reconciliation and reassociation cycle thus creating new efficiencies for healthcare administration. This shift allows you to refocus your staff on other priorities that the huge time-consuming and costly paper checks process did not allow for. For more specifics, check out our Health ebooklet. How do virtual cards generate revenue? Using and paying virtual card payments is like using a credit card. For every payment processed, you will earn revenue share through rebates that are paid to you by WEXHealth. This creates a steady stream of revenue into your business. SUAs balance out your payment process and enhance your data flow to fulfill reporting requirements. Step 2: Reduce Use of Paper Checks. Shifting to SUAs to replace paper checks saves on average $22.00 per payment. SUA simplifies invoice and provider reconciliation with enhanced remittance data. For every invoice that is handled with SUA, you earn revenue share on the payments processed. Data is easily captured to fulfill reporting requirements. Reduces fraud risk and disputes. Easier to automate business rules and support more efficient workflows, including security protocols. Virtual payments are not just for big ticket items. The vast majority of reimbursements are for $100 or less – a whopping 90% of which are still settled by paper check. * But checks are costly, averaging almost $31 each for both the inbound and outbound expenses. How to get started? Prelude's PayPilot uses SUA payment processing as just one of its payment method options. We have partnered with WEXHealth, a pioneer in virtual payments, due to their extensive experience and world-class customer service available 24/7/365. Powered by WEX single use card in PayPilot, this innovative disbursement hub platform integrates seamlessly with your existing core systems across your enterprise and provides additional layers of security while enhancing your ability to process outbound payments in the most efficient and effective way. Prelude can interface PayPilot to apply this payment method, whether your enterprise has antiquated, legacy systems or more modern core systems. If you would like to learn more how PayPilot can meet and even exceed your expectations, please contact us. We will be happy to show you what Prelude's disbursement hub solution can do for your enterprise today.